Joan Carlos Canas con Maugrafix. 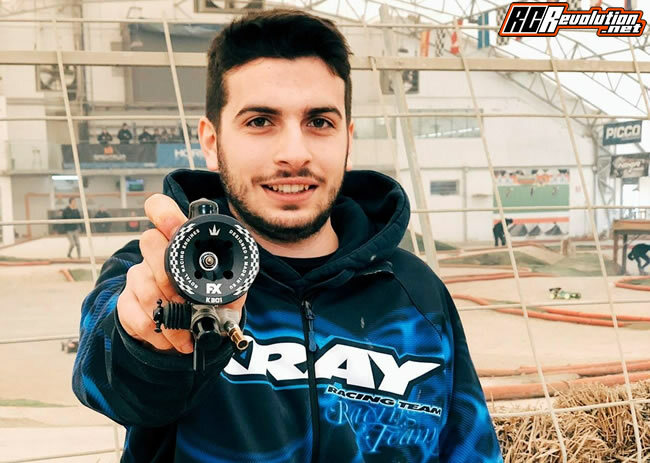 Joan Carlos Canas, uno dei piloti più talentuosi della scena off road, sarà sponsorizzato dall'italiana Maugrafix, azienda leader a livello internazionale per quanto riguarda decals e grafiche per il mondo RC. "It is a dream come true, I am excited to be part of this great team, I want to thank Mau and Evlin for make possible, see you at Montepellier GP." 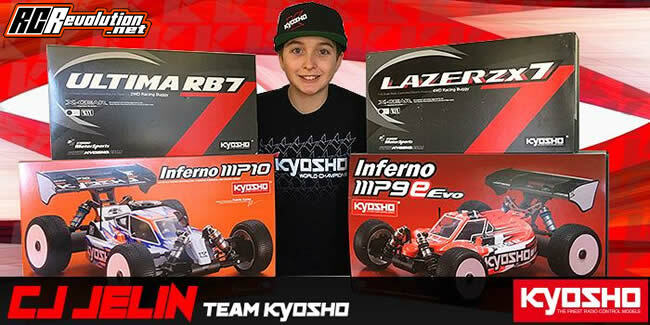 Cody King ritorna con Kyosho. "I want to give a huge thank you to Kyosho for the opportunity to race for them again. As most people know, I had to step away from racing for a period of time, and now I’m ready and excited to get back to the track. For now I will just be racing locally, and take additional steps as it feels right. My focus is on keeping it fun, and getting back to competing again, I have missed it. Also, not only am I coming back, but my dad Paul also will be helping me in the pits again just like the old days. Can’t wait to see everyone at the races!" Marco Baruffolo passa a FX Engines. Era evidente, e avevamo segnalato con questa news la "possibilità" di un passaggio di Marco Baruffolo dai motori Picco a FX Engines (brand quest'ultimo, insieme a quello XRay, col quale Marco Baruffolo è già sotto contratto, di proprietà del signor Hudy). E infatti arriva da pochi minuti la conferma: Marco Baruffolo correrà con la sua XRay nel 2019 con i motori FX Engines. "Here we are! For this season i will use FX Engines. I'm really pleased to join this Brand! Im very focused on this combo with my Xray." Ryan Cavalieri passa a SWORKz. "I'm very excited to be a part of the SWORKz team in 2019. I would like to thank Scott Yang and Max Sonnleitner for giving me this opportunity and making the great line of communication during this process. I'm looking forward to work with the team and engineers for their 1:8 scale program starting with the Dirt Nitro Challenge as my first event of the year." Ryan Lutz passa a Nemo Racing (Agama e Bullitt). Nemo Racing USA, insieme ad Agama e Bullitt, da il benvenuto nel proprio team ad uno dei piloti più prolifici dell'epoca moderna, un uomo che veramente non ha bisogno di introduzione, Ryan Lutz. Ryan correrà con gli automodelli Agama ed i motori Bullitt per il 2019 e oltre e collaborerà con lo Staff Nemo Racing nello sviluppo dei loro prodotti. "When needing to find a new home this opportunity hit all the right notes. I feel like I have found a diamond in the rough so to speak. An established brand with a great track record already, just waiting for the opportunity to burst onto the forefront of the R/C industry! In speaking with Billy and Jon, everything just fit together like a puzzle and it has almost seemed too good to be true. I look forward to working with these guys at Nemo Racing and the Agama and Bullitt team to show these vehicles as truly capable and fully competitive on the world stage! Let's get this season started!" Kyosho America ha annunciato che la stella nascente CJ Jelin è entrato a far parte del team. 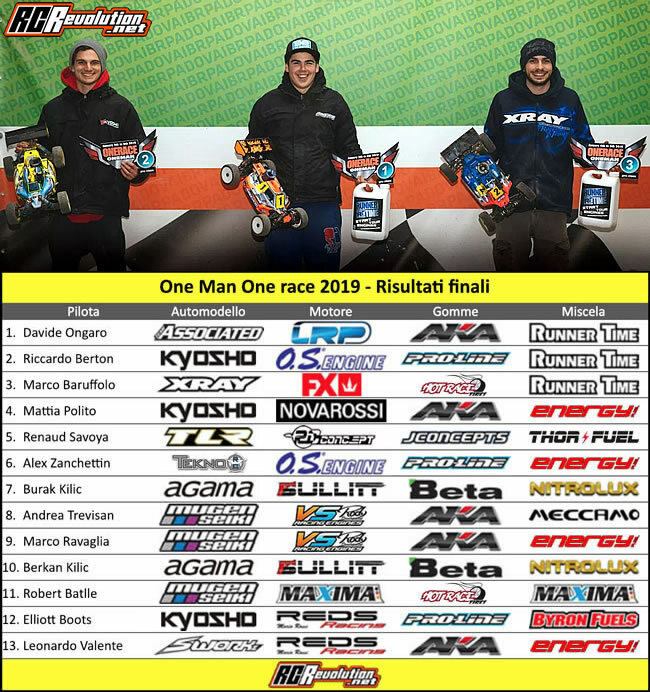 Il giovane quattordicenne ha già avuto grandi successi sia nella categoria 1/10 che nella 1/8 a livello nazionale arrivando poi addirittura a correre la finale al recente campionato del mondo IFMAR 1/8 nitro off road. CJ.Jelin ha messo in mostra la velocità, dedizione, professionalità e capacità di non mollare mai anche nei momenti di avversità, doti davvero incredibili per un giovane pilota della sua età. Per tutto ciò Kyosho è entusiasta di supportare CJ per i prossimi anni. 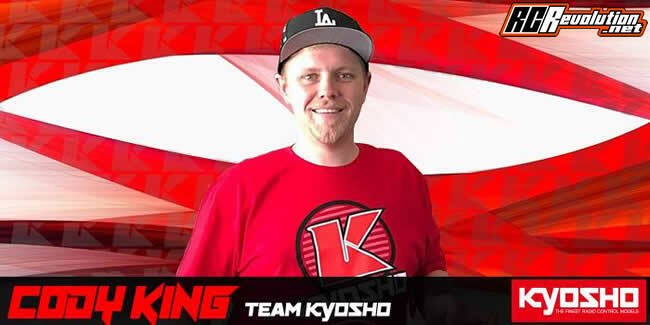 "I am very excited to be joining the Kyosho team. I hope that I will be able to help grow and promote the brand worldwide with a focus on North America. Thank you to Zack Rogers and Kyosho for making this all happen and I can’t wait to see everyone at the track!!!" Robert Batlle passa a Maxima Mx. 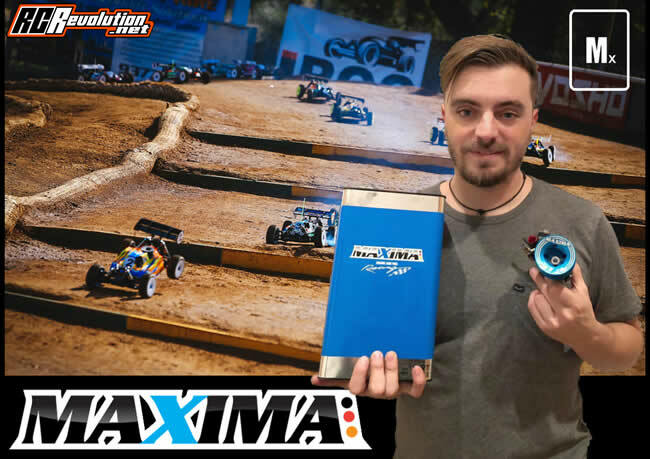 "I would like to thank Vasco, Chira and all people who though on me to start this lovely journey, Maxima is a wellknown brand for all rc people and I love the way they understand the rc. I made already some tests and the B2 engine and fuel work awesome, can’t wait to show you guys how they work in Padova, see you there and happy new year!" 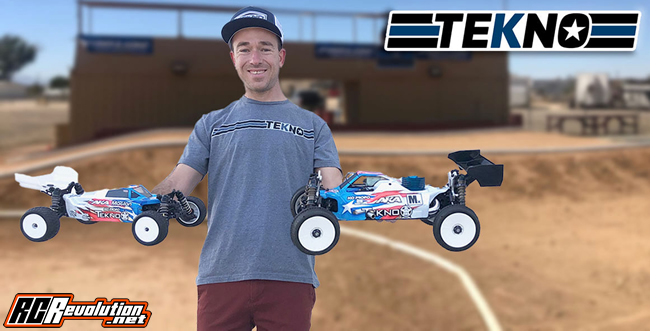 Jared Tebo passa a Tekno RC. Terminata la storica collaborazione tra il pilota statunitense Jarde Tebo ed il colosso giapponese Kyosho (news) e dopo i numerosi rumors sui social media circa la futura nuova collaborazione di Tebo, arriva ora la comunicazione ufficiale: Jared Tebo passa a Tekno RC. "I am beyond excited to be joining the Tekno family for 2019 and 2020! I’ve noticed the growth in customers and the great track presence that they’ve had, and that’s something I wanted to be a part of. Daniel and Matt attend a lot of races, and you can see the passion they have for RC cars and the industry. Tekno has taken a different approach with their brand, and they strive to create innovative products with great performance. I can’t wait to race the cars and share my input of 18 years professional racing experience. I think the combined results together are going to be great, and the experience will be exciting. I will be racing the full 1/8 NP, 1/8 EP, and 1/10 EP line of vehicles! I want to say THANK YOU to Daniel, Matt, and all the Tekno staff for this opportunity. I feel very welcomed already, and I’m excited to work with and meet all my new teammates! Bring on 2019, see you all soon"
Juan Carlos Canas passa a SWORKz. "I am very happy to be part of this young, but very focussed SWORKz team. First sessions with the car make me really confident for the next years. Thanks also to the Spanish SWORKz distributor Jorge REVERT for his support.“ Max Sonnleitner confirmed:"SWORKz is proud to have one of the worlds fastest young drivers in the next two years and hopefully longer in the team. 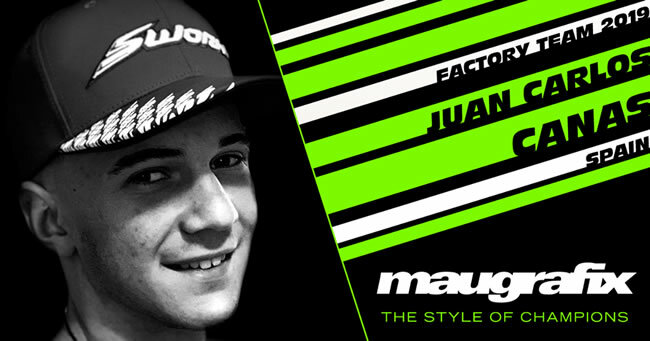 Juan Carlos CANAS fits also as a person perfectly to our factory team. The right Spirit in the Team is very important for me."